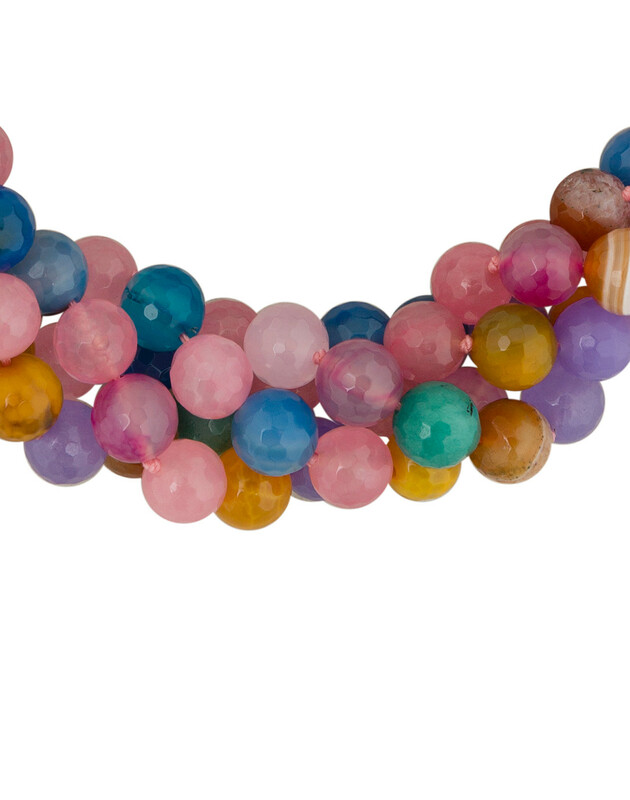 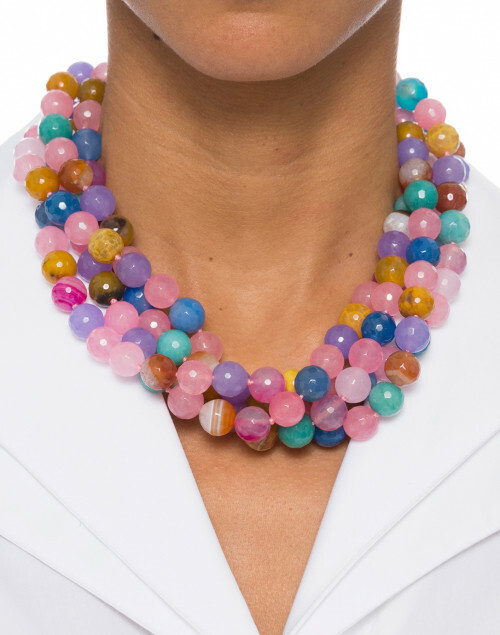 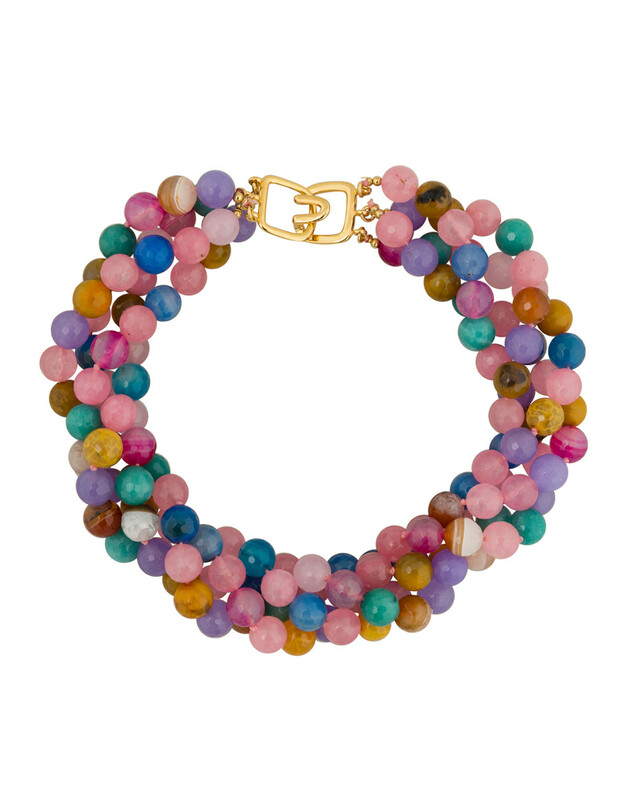 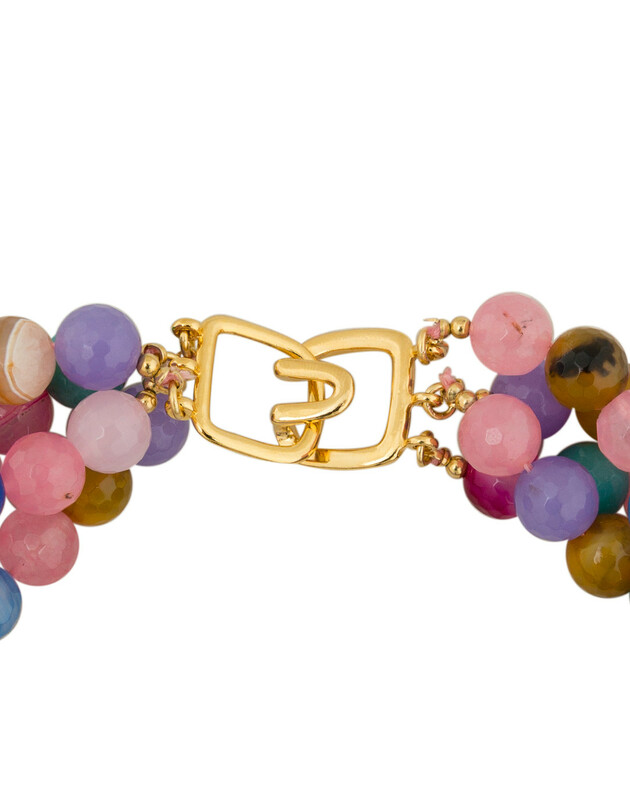 This elegant necklace by Kenneth Jay Lane combines varying shades of pink, yellow, blue, green, and ivory. 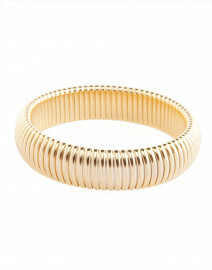 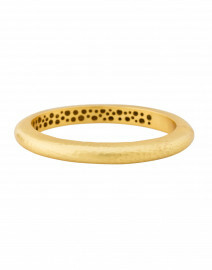 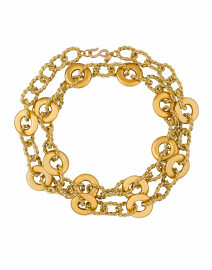 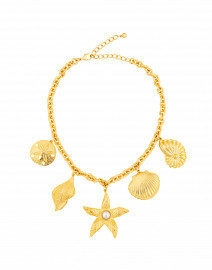 This piece will add a stylish twist to your jewelry collection and update any look. 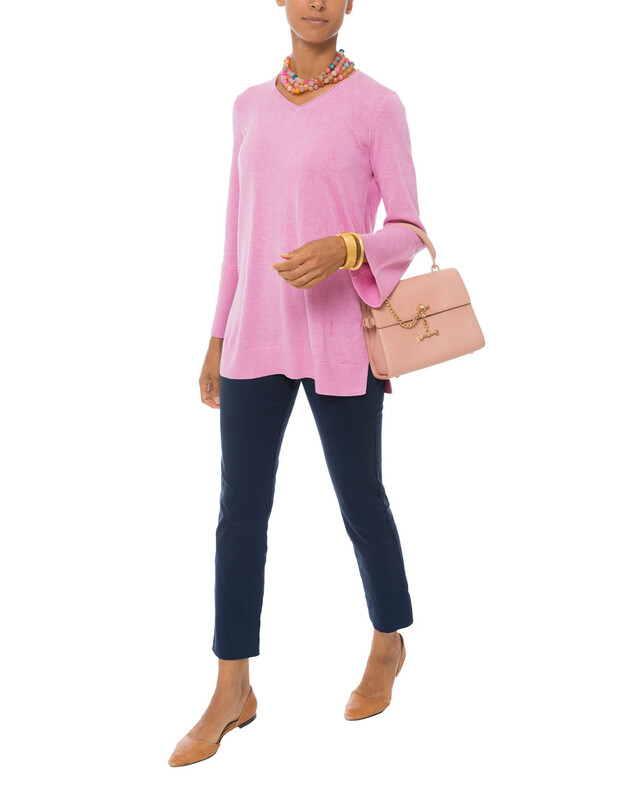 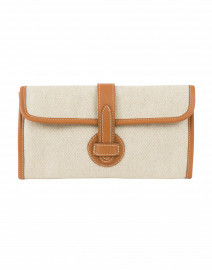 The bright palette is versatile and pairs well with fall's soft neutrals and pale pinks.